You are here: Home / Music / What’s the one musical event you wish you’d been at? What’s the one musical event you wish you’d been at? You know how people go to a great event and they don’t stop talking about it 20 years later. You wish you could have been there but you weren’t so it doesn’t matter how many stories they tell about this fantastic event you missed out on, you weren’t there and you just smile and nod and wish they’d shut up about it because of course you would have loved to have been there. What event would this be for you? For me, it was the 1993 Big Day Out in Adelaide. It was the first Big Day Out here, and it was held at Adelaide University. It was a stinking hot day in early February as days in Adelaide are bound to be at this time of year. Iggy Pop played and he was awesome. You should have seen him. Well I couldn’t because I wasn’t there. I had a really good excuse as to why I wasn’t there. I wasn’t in the country. I was in England – freezing – in winter. While you were getting squirted with firehoses at the Big Day Out before Iggy Pop came on, I was commuting for an hour or two to work in the dark. There’s been some other good bands play at Big Day Outs in Adelaide, but they’re still not as good as the first one. Because the first one was at Adelaide University and all the rest have been at the Adelaide Show Grounds. Totally different venue. Totally different feel. So when people are still posting photos on Facebook from that day, or talking about it at parties, I just try to think of all the great gigs I went to in England. I could tell you about the time I went to the Reading Festival in 1993. 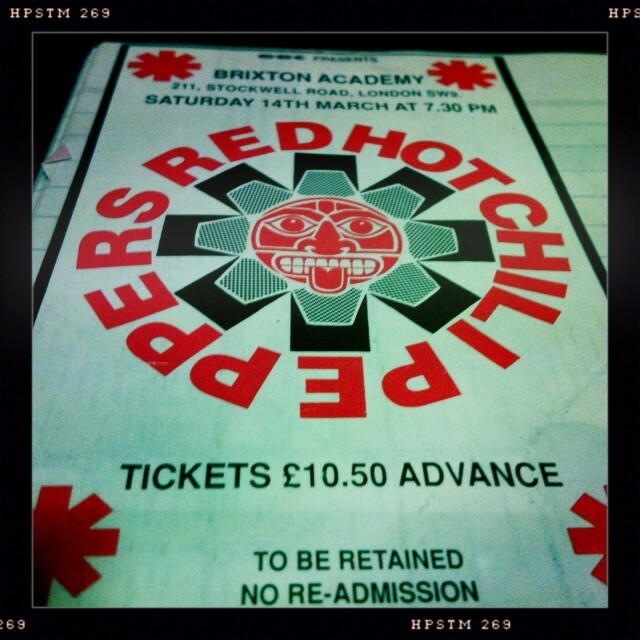 Or when I saw Red Hot Chili Peppers and Henry Rollins on the one night at Brixton Academy for the princely sum of £10.50. One of my favourite shows was Pop Will Eat Itself at the Town and Country. Madonna – Girlie Show at Wembley Stadium- 25 September 1993 (£22.50). Ok, so missing out on that inaugural Big Day Out in Adelaide perhaps wasn’t so bad after all. And it’s a pity those prices are now long gone. I’ll always be sad that I never got to see a Nirvana gig, and I’ve also missed out on Radiohead so far but at least I might get another chance to see them. Another one is The Doors…but they were before my time so I can’t beat myself up over that one too much! 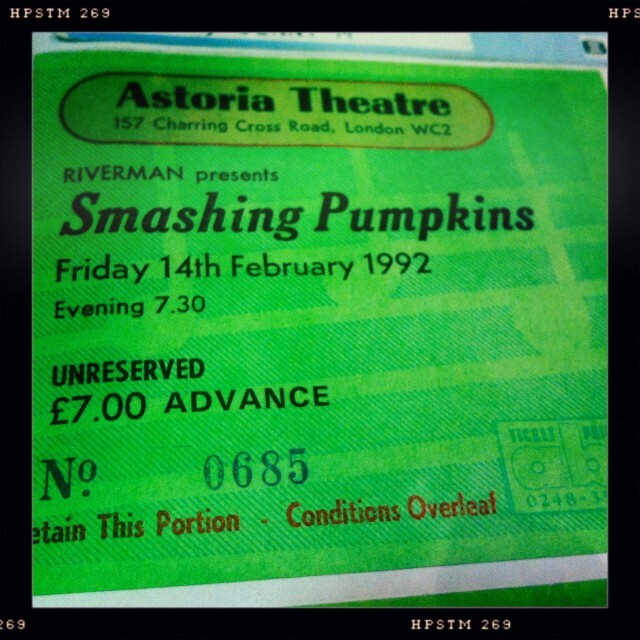 Also just wanted to add (since you mentioned them) that I saw Smashing Pumpkins in 1996 and it remains one of the best concerts I’ve ever been to! I never saw Nirvana either. In the wrong places at the wrong times I think.